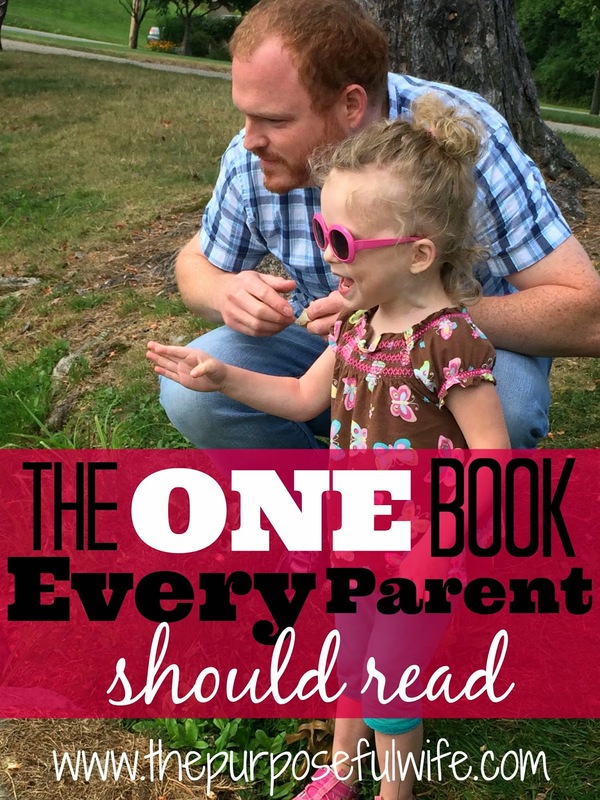 It seems that most Christian parents have one favorite parenting book. This is the book they most closely adhere to, recommend, and try to model their parenting after. Whether it be Shepherding a Child's Heart, Grace-Based Parenting, Give Them Grace, The Faithful Parent, The Mission of Motherhood, or any other of the myriads of options out there, most people have a particular preference. Others of us are scrambling to read as many parenting books as we can get our hands on, desperate for Biblical wisdom and guidance from older parents who've been there. We second-guess our every decision, and feel seriously anxious about how we might be messing up our kids for life. Oh how we long to get it right! And oh how inadequate we feel we are for the task! There are a handful of parenting books that I have truly benefited from, and I always have a new title or two in my stack. But I think we are over complicating things. Rocket science, I know. But how often do we forget this? Parenting is hard work. Super hard work. I can't tell you how often I question my decisions and feel the desperation of grasping at straws to come up with how to respond in any given situation. I don't have all of the answers, and the area of my life I've felt that truth most keenly in is motherhood. Yet its amazing to see how God just gives me heaps of grace, wisdom, and patience on the days that I saturate myself in the Word, and humbly beg Him for answers and help in my parenting. In and of myself, I am completely insufficient for the task of raising my children. I fail them every single day by losing my temper, responding harshly and impatiently, lazily observing what I ought to be correcting, not giving them all of the attention and love that they need... and on and on the list goes. The good news is that God has given us everything we need for life and godliness. We have access to His complete Word and His Holy Spirit via prayer. And when I mess up and fail my kids, His Word is there to remind me that His grace is enough. It fills in the gaps where I fall short. His blood covers all of my sins, even my parenting sins. If my children are going to grow up to know Him, it will be a result of His grace drawing them to Himself, not my valiant efforts or successful parenting savvy. Parenting books definitely have their place- we can learn a lot from them, just as we can learn a lot by observing other godly parents around us. But what is our primary source for information, wisdom, motivation, and hope? Let's major in the Word, and minor in the other words. How is the Bible informing your parenting today?